Raees vs Kaabil Box Office Collection Prediction: Who Will Win Worldwide SRK or Hrithik on 1st Day? Raees vs Kaabil Box Office Prediction: Shahrukh Khan movie Raees will lock horns with Hrithik Roshan film Kaabil this Wednesday on the eve of the Indian Republic Day, i.e., 25 January 2017. 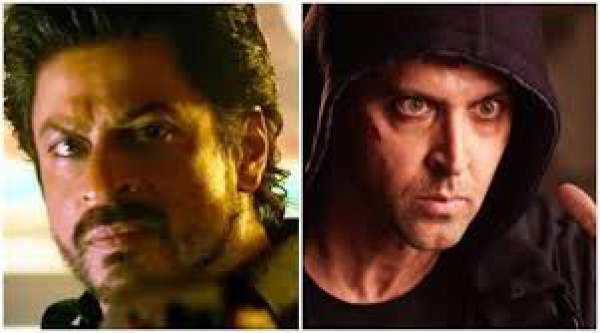 There has been a rivalry prediction between the two film of Kaabil and Raees. Roshan predicted that both the film Kaabil and Raees would do well reasonably at the box office on the opening day. It should be noted that Karan Johar’s film Kabhi Khushi Kabhi Gham, 15 years ago, Shah Rukh Khan and Hrithik Roshan shared screen space. Roshan said in an interview to BollywoodHungama. He has also expressed his displeasure on both films clashing at the box office. Roshan also admitted that there are no hostilities between SRK and him. 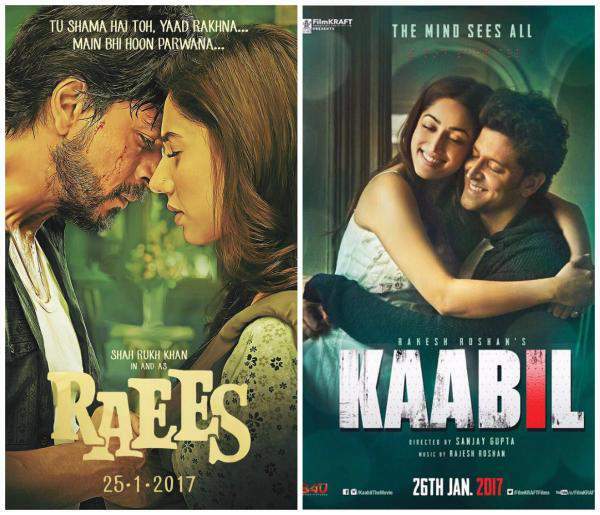 SRK film Raees and Hrithik movie kaabil are entirely different in nature. Raees, directed by Rahul Dholakia, and Shahrukh Khan plays the role of a Gujarati bootlelegger. It also features Nawazuddin Siddiqui and Pakistani actress Mahira Khan opposite to SRK. On the other hand, Kaabil is directed by Sanjay Gupta. Kaabil is a love story and revenge drama of two blind people. The blind people role played by Hrithik Roshan and Yami Gautam. Ronit Roy and Rohit Roy play the important roles. “Both the films will ear each other’s business. It is not right. If you see Hollywood also, there is no two big films released together. Go back 10 years. You will see superman and batman never releasing together, and we have only 4-5 actors who are ruling the industry,” Rakesh Roshan said. In India, the film will release on more than 2500 screens and in overseas markets, it releases on more than 750 screens. The total worldwide collection of Raees is expected to be between Rs 200 and 450 crores (worldwide). Despite the clash, Raees 1st day collection is predicted to be in the range of Rs. 18 t0 22 cr as it was for the Fan. It will be considered to be a good figure if it crosses the 20 cr mark. The flick has heated up on the route of its release. So, it is anticipated that the increased curiosity will attract more eyeballs. Marketing and promotions have been done on a good scale. However, it will not go above Chennai Express and Happy New Year. Also, it is not undersold like Fan either. It is like Dilwale which clashed with Deepika Padukone and Ranveer Singh starrer Bajirao Mastani. It should get 75% occupancy on the day one. The opening day collection of SRK‘s big movies are as follows (expect Dear Zindagi where SRK wasn’t the central character). It won’t be easy to go beyond that figure because of two reasons. It is a clash, and the genre is neither universal nor family friendly like Happy New Year or Chennai Express or even Dilwale. The movie will earn 85 t0 95 cr in the first weekend while lifetime collections are expected to be in the range of 150-160 cr (domestic). Rakesh Roshan predicted that Kaabil and Raees together would earn around Rs. 300 cr from the Indian box office. Moreover, we can’t overlook the Greek Lord of India, Mr. Hrithik Roshan. He has done some excellent films regarding business. His last film Bang Bang (2014) minted over Rs. 200 crores worldwide. Hrithik’s latest release Kaabil won’t be lagging much behind than the SRK’s film. The poll and prediction say that Raees will lead on the first day, but it will be the content which will drive the business for movies from the third day onwards. The Bollywood releases of this Republic Day will test audiences as well as the trade analysts. This is the sixth time when the father-son venture is going to release. Have you checked out the review of Kaabils? It has garnered very good reviews from the celebs. They got to saw it before the worldwide release during a special screening show. Thus, it has also got a good hype and buzz around the industry. The movie trailer has got over 25 million views on YouTube only. The movie trailer has got over 25 million views on YouTube only. The advance booking for Kaabil has been a little less than Raees. Kaabil is expected to cross Rs. 12 cr mark or at least to enter the double-digit in India. It should get 60% occupancy on the first day. The film will open around 18-20 cr net opening day and 90-95 cr nett 5- day weekend. The film should be steady over weekday and score average numbers. It seems to be another earner for the super star, but clash will limit its lifetime number. Kabil film is very beautiful film.it is sweet film.I see kabil of two times on first day.you watch the kabil instead raees. In a first day if u saw kabil twice then how would you be compared it with Rares! I would like to suggest you that watch Rares too and then compare, You should see both the movies on their dedication and acting and dialogue delivery then you only Agee that Rares movie is more better than kaabil. Wat so good about raees. Two diloug repeated 4times in whole movie. Beside that wat massge movie gives. Teach yo children how to smugle alcohole. Only cheap people admired that movie. So, Let C & B Kaabil …..
Srk is the best actor in all time of bollywood.He prove his self for long time.So wait&see which movie will blockbuster.